Questions often come up on how to make modifications to the Source and Destination Symbols. 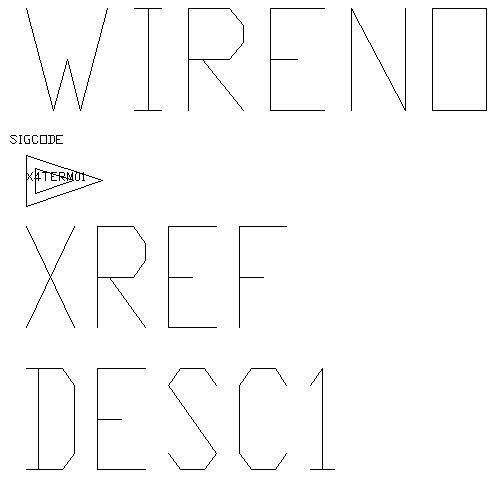 Can you hide the wire number? Can you change the prefix’s “to” and “from”? Can you make the source XREF attribute values wrap instead of going out in a straight line? The answer to all these questions are yes. There are more things you can do to modify the symbol to look the way you want, but these are the most common. Now find the Invisible option under the Misc section and change it to Yes. 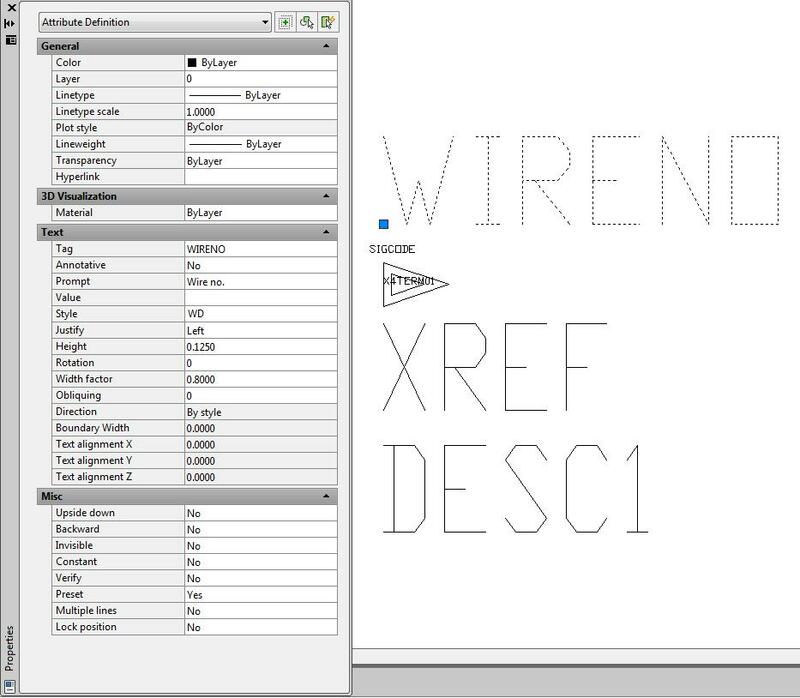 After saving and using the symbol the WIRENO attribute will be invisible by default. 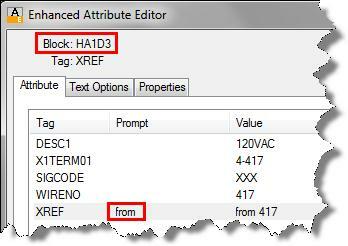 To change the prefix’s “to” and “from” to whatever your company uses select the XREF attribute and locate the Prompt option under the Text section. In this example the prompt was changed from “to”, shown in the left image, to “To Destination” as shown in the right image. 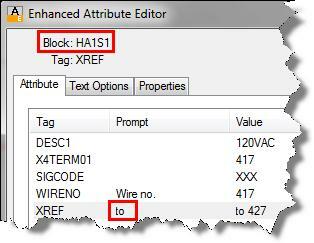 While still looking at the XREF attribute properties you can make the source XREF attribute prompt value wrap instead of going out in a straight line. 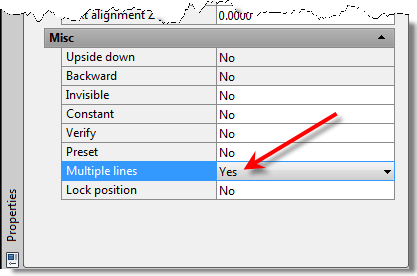 Under the Misc section locate the Multiple lines option and change it from “No” to “Yes”. e. Use the arrow to adjust the width as shown in the image to the right. 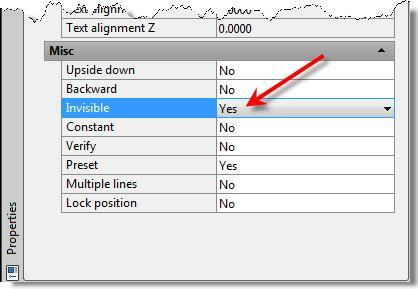 Close the Properties dialog, save and close the symbol drawing. 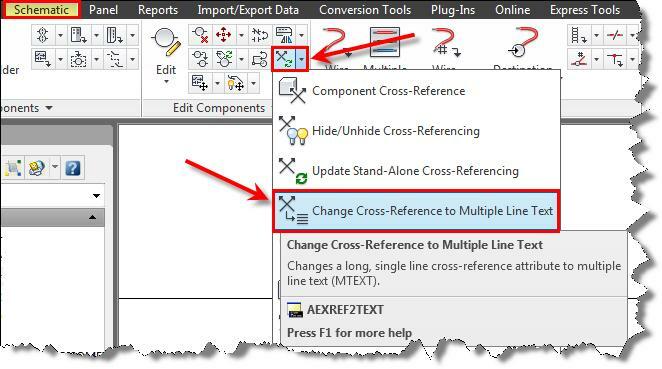 If you have too many destination references and you want to break them up on multiple lines use the Change Cross-Reference to Multiple Line Text tool. By making a few modifications to the symbol you were able to make the drawing look better. You could have made these changes to a symbol that was placed on the drawing, but making the changes to the library symbol insures all the drawings will be consistent. Additionally, you can apply these methods to other symbols in your library. Todd Schmoock has over 20 years experience in the mechanical engineering field. Ten years of this time was spent as a documentation specialist/designer at Honeywell, Inc. where he worked on several government contracts which equired strict drafting and design documentation in accordance with government standards. Additional experience comes from working in the technical ceramic, elevator, and specialty gas industry designing equipment for each of these fields. Todd joined Synergis in 2003 as a Design Solutions Engineer where he began providing assistance to customers through training and consulting, helpdesk support, as well as providing pre-sales support. Todd will be presenting at AU 2012 in November. See his session information here. Great post!! It really provided a thorough explanation of all the important parts without any jibberish! I feel a lot more comfortable with source and destination arrows! thanks Tisha – if you have any specific topics you would like to see, let us know. This isn’t related to how the arrow styles look but I’m looking for information on source codes in general. Should there only be one source code per pair of source/destination arrows. For example, if I have three sheets where the power rails of the ladders just continue from one sheet to another, does the source arrow from sheet 1 to the destination arrow on sheet 2 need to have a separate source code than the source arrow on sheet 2 to the destination arrow on sheet 3? Sorry about the delay. If the source and destinations are put in correctly they will match automatically. What if you wanted to display the section of destination at the source arrow and vice versa? I would recommend using the paper space option. This would allow you to create viewports for the entire drawing, and add an additional view to display both source/destination arrows on the drawing at the same location as a reference.